Video games all began in late summer of 1966. 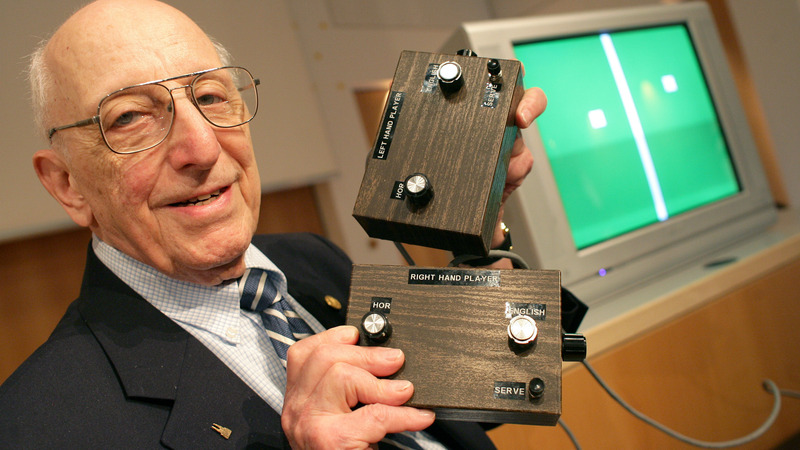 Ralph Baer (in background) began scribbling notes and prototype drawings on a yellow legal pad while waiting for a colleague. These detailed drawing outlined his plans for a "game box" that would allow people to play sports, board games, and action games on most American television sets. Baer's boss set aside $2000 for research and $500 for materials and assigned two men to work with him to develop his plans into a reality. They created many prototypes and the project began to morph into an obsession. In March 1971, Baer and his employer, Sanders Associates filed for the first video game patent. It was granted to them in April of 1973. The patent gave Baer a large claim to a legal monopoly for any product that included a domestic television with circuits capable of producing and controlling dots on a screen. Sanders Associates licensed its system to Magnavox. Baer's product was originally called the Brown Box, but it was sold as the Magnavox Odyssey. Sales began in the summer of 1972 as the first home gaming console. In its first year, Magnavox sold 130,000 units. It sold a total of about 350,000 units in its years of production. Baer thought that the company could have sold more. He blamed Magnavox for limiting sales at their dealers. Baer also thought that it should have been sold for $19.95, instead of the $100 Magnavox asked for it. They sued Atari in 1974 for usurping their rights. Atari settled with them by paying $1.5 million to become Odyssey’s second licensee. Over the next 20 years, Magnavox went on to sue dozens more companies, winning more than $100 million. 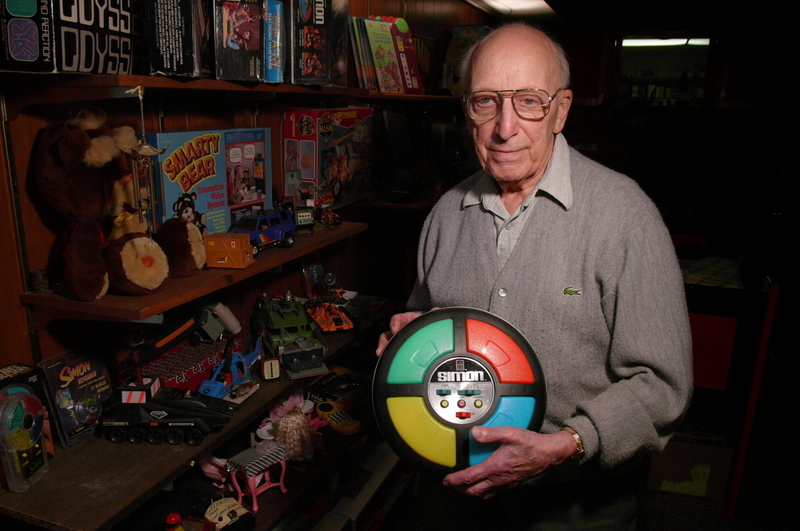 Mr. Baer had more than 150 United States and foreign patents, ranging from talking doormats to submarine tracking systems to greeting cards. In 2006, President George W. Bush awarded Baer with the National Medal of Technology. Four years later, in 2010, he was admitted to the National Inventors Hall of Fame.